People are doing all kinds of different things with their kitchens these days. More and more, homeowners are reaching for bolder and more outlandish materials, color schemes and layouts than ever before. This is due in no small part to the overall preference for open-concept homes, which dictate that different spaces differentiate themselves from one another. 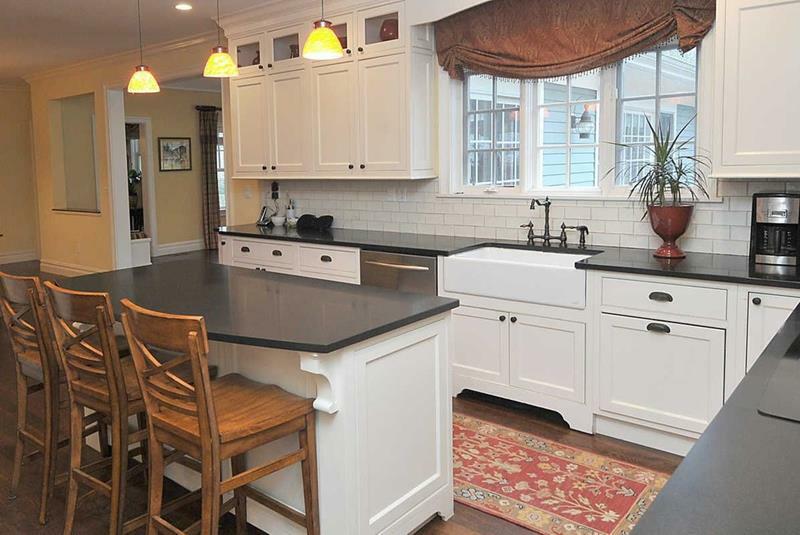 As with most anything else, though, the classics of kitchen design are the classics for a reason. 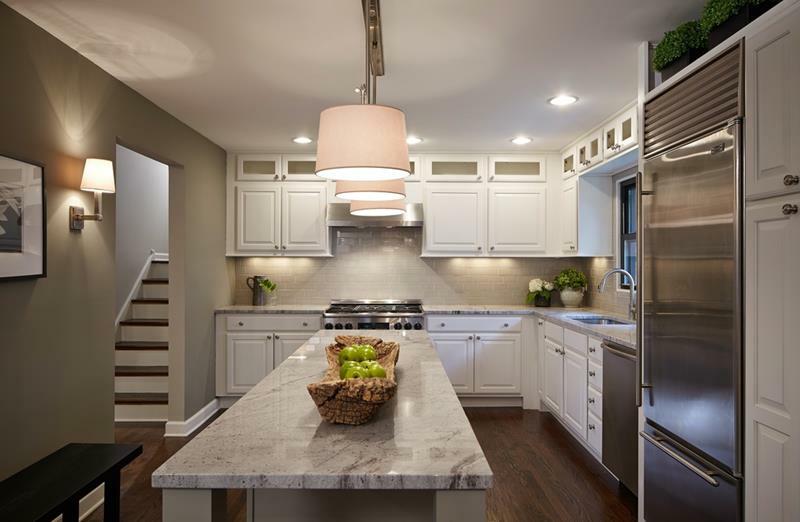 When it comes to a color scheme that’s going to impart any kitchen space with that classic, luxurious look that most homeowners are after, there’s simply no substitute for white. While a white kitchen may be a little bit more difficult to “keep clean”, the trade off in terms of maintenance for overall look and feel is almost always worth it. When you have a white kitchen in your home, you have a space that’s instantly going to impress any who set their eyes upon it. Below, we’ve selected 25 gorgeous white kitchen designs that have been garnering a lot of attention in 2018. We think you’ll see just how beautiful a white kitchen can be, and also how different one white kitchen design can be from the next. If you’re thinking about building a white kitchen in your home, then these are the kitchens you need to see in order to get your inspiration! 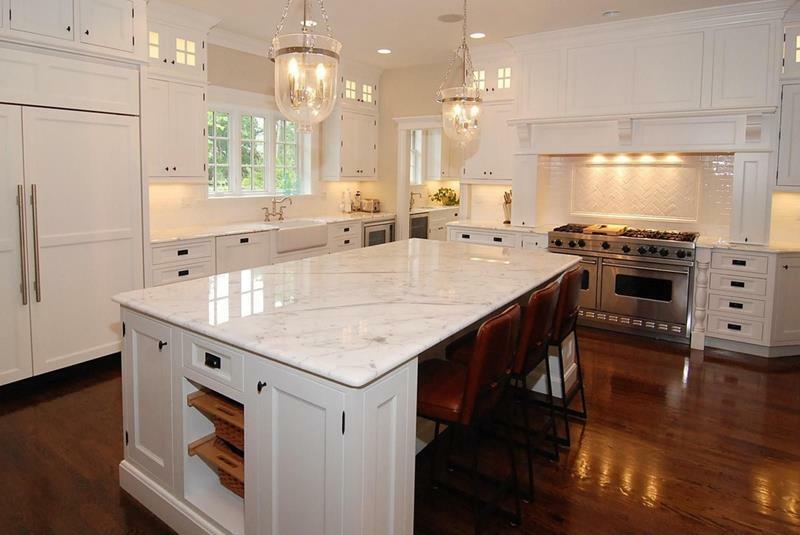 It’s easy for an all-white kitchen design to lack a sense of dimension. Note how the grey wall at left solves that issue for this particular design. 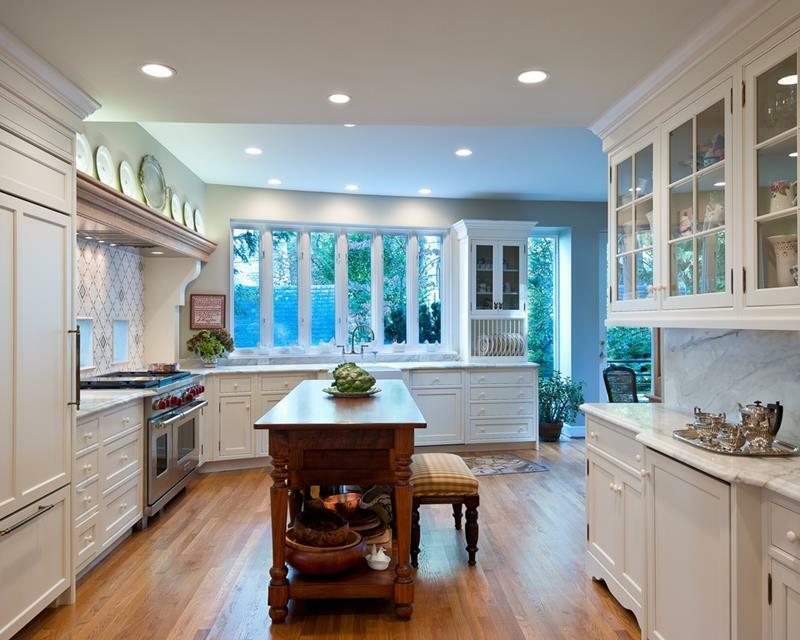 In order to add a sense of drama and dimension to an all-white kitchen design, it’s also necessary to make smart use of lighting, but under the cabinets and over the center island. When you make use of black countertops in your white kitchen design, we have to recommend going with the white farmhouse sink. It just works so well. 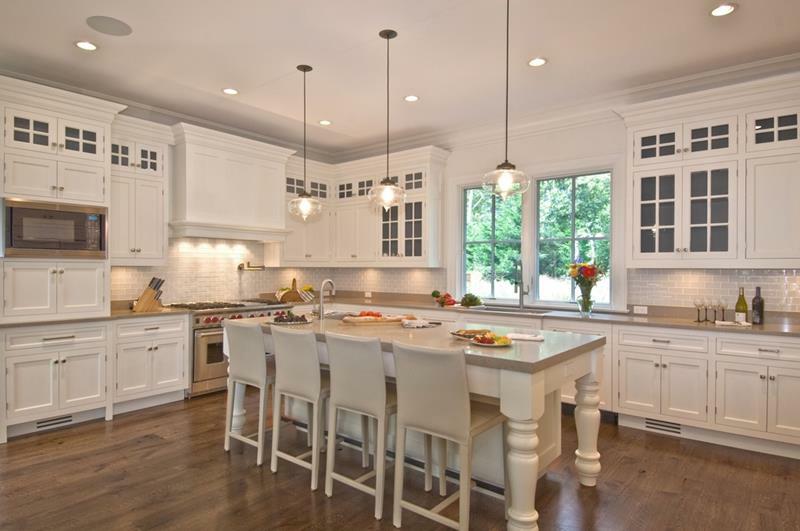 With white cabinetry, you should think about making use of an island in order to add a sense of contrast to the space. The free-standing wooden one here is just perfect for the design of this white kitchen!